Re-enactment of the St. Valentine's Day Massacre, conducted by the coroner's office. LINCOLN PARK — The garage might be gone, the building razed, the address eliminated, but the St. Valentine's Day Massacre continues to transfix Chicagoans and mark our shared history. There's almost as little actually known for certain about the events of Feb. 14, 1929, as there is evidence of the SMC Cartage Company garage that once occupied 2122 N. Clark St. Yet the story that's become a part of Chicago lore continues to entrance us every year on Valentine's Day. "People go to the site, and they have to kind of figure out where it is, because there's no historical marker, because the address has been eliminated. 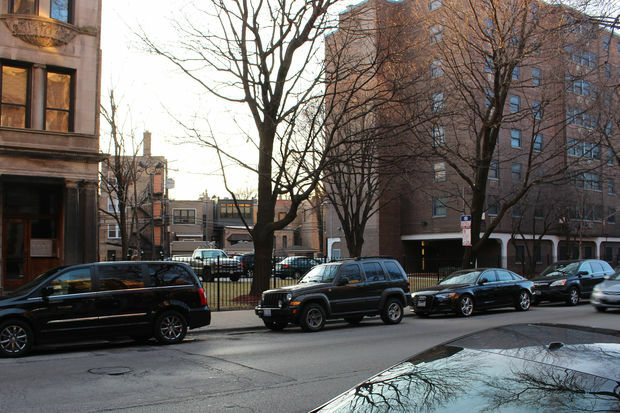 It's part of this larger property an apartment building is on," said John Russick, vice president of interpretation and education at the Chicago History Museum. "You have to kind of figure out where the building was." 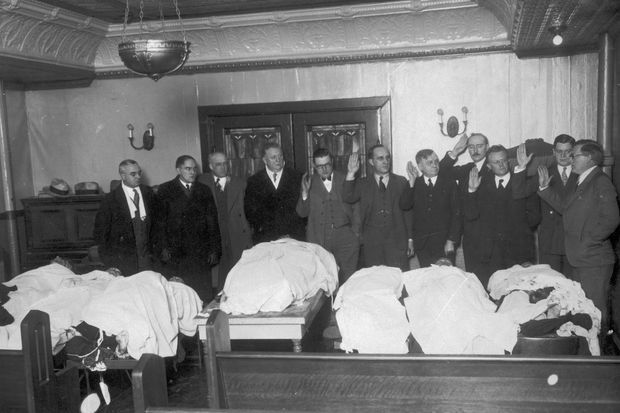 What happened that day, as all Chicagoans and crime aficionados around the world well know, is that seven men, all members or associates of George "Bugs" Moran's North Side gang, were lined up against a wall and shot. 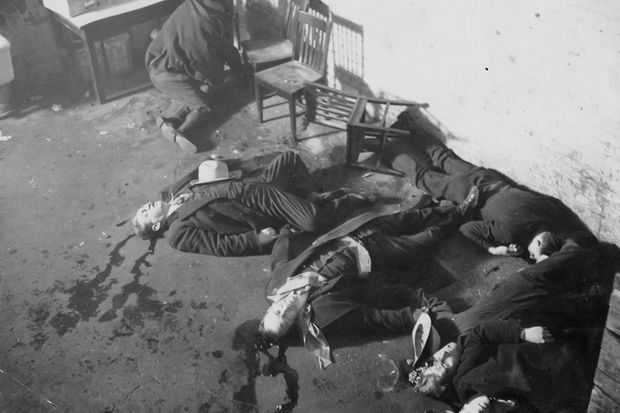 The killers were most likely members of Al Capone's rival mob, locked in a gang war with Moran for control of the city's lucrative bootlegging rackets. "Even that is to some extent conjecture," Russick said. "People know there was this ongoing conflict between Capone and Moran. Surrogates for them had tried to kill each other before. So it makes sense it was Capone's gang. Bottom line is there's no proof. "What we do know is seven men were gunned down that morning," Russick added. "Witnesses claimed that four men entered the garage, and two of them were dressed as police officers. There were shots fired. Those men left the garage. And the bodies were discovered and there was an investigation." According to Herbert Asbury's "Gangs of Chicago," Capone had the ironclad alibi of having been speaking with the Miami district attorney at the time of the shooting. "Machine Gun" Jack McGurn was arrested, but also had an alibi. 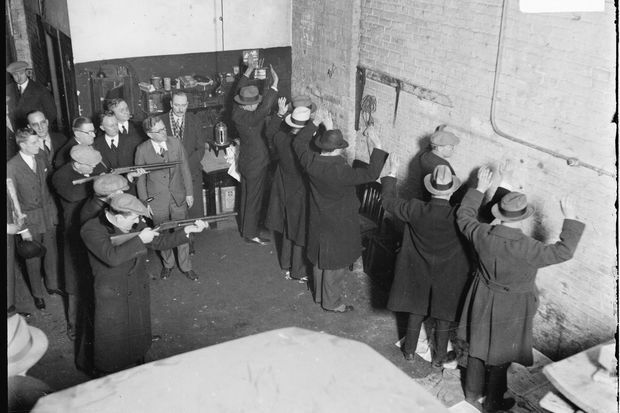 Two other Capone henchmen, John Scalisi and Joseph Guinta, were arrested, but killed before they could be tried. It seems they turned up dead, with their bodies bludgeoned and shot several times, on the floor of a car found near Gray's Lake in Douglas Park on May 8 of that year. Were they killed by Moran? By Capone in an attempt to placate Moran? Or by Capone as a way to seal off the crime and do away with a couple of potential rivals in his own gang? "No one who was there was ever identified. No one has survived. None of the people who perpetrated the crime was ever identified," Russick said of the original massacre. "This was the classic case of a crime that to this day is unsolved. That's the No. 1 rule: If you don't talk, there's no way that anything can be proven," especially in those days before surveillance cameras. Dead men, as they say, tell no tales. "If you can't break that wall of silence, there's no way to prove anything against anyone," Russick added. "That's been the nature of gangland operations as long as there've been gangs." The museum, Russick said, is now in the process of creating a presentation through its ChicagoOO app that will provide "a virtual-reality experience" of the massacre, with an emphasis on what's known for certain and what remains unknown. Included will be compositions that meld old black & white photos with pictures of the landscape as it is today. While not ready for the anniversary, it should be released in the weeks ahead. The museum launched the app in the fall with an presentation on the Eastland Disaster. While some might see that as macabre, Russick said it's seen as part of the museum's mission, although not without some inner debate. "This is a conversation we've had here," he said. "The question we've asked ourselves is are we playing into this sort of sensational promoting gangsters and the glorification of this whole lifestyle? "Our responsibility and what we hope people take from this is not an enthusiasm for this, more a message that civic engagement and the public response to these kinds of events can turn the tide." 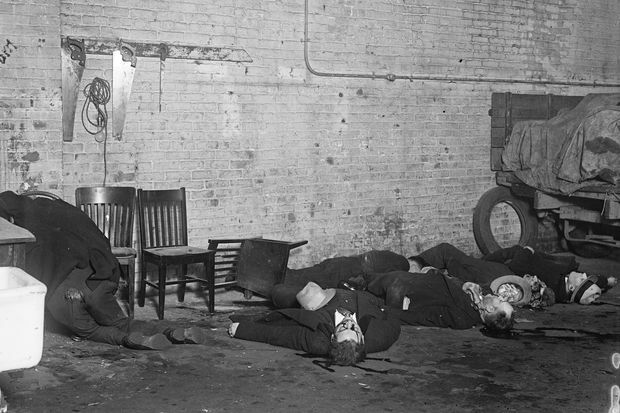 Bootlegging had been tolerated by Chicagoans because they liked to drink, Russick pointed out, but "with the massacre you get the sense that the public is kind of fed up with the raging violence." That would lead to a dramatic reassessment of how to attack the problem, with the end result that, as a way to cut the gangs off at their most lucrative source of revenue, Prohibition would be ended within four years, even as both local and federal authorities sought new ways to rein in mobsters, resulting in Capone's conviction on tax-evasion charges in 1931. That attempt to attack a difficult problem at its roots should offer lessons today with the similar public outcry over the Laquan McDonald police shooting video and the runaway murder rate — "in our times right now when we're dealing in such violent times in the city," Russick said. "There is a role for citizen anger and input that might cause some change. I do think it's relevant to our times."